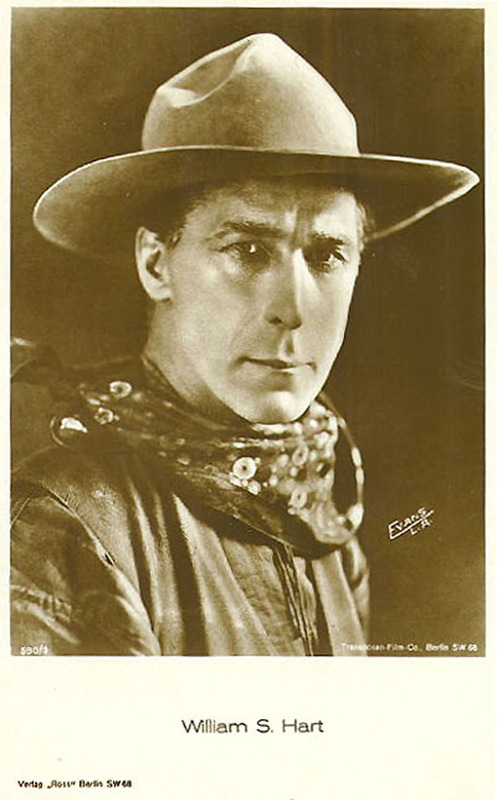 German publicity photo of William S. Hart from the 1920s. Photo by Evans of Los Angeles, printed by the Ross Verlag (Verlag = company) of Berlin. Essentially the same as this French arcade card. The original movie cowboy, Hart was born in 1864, made his last film ("Tumbleweeds") in 1925, built a mansion in Newhall in 1927 and died in 1946.